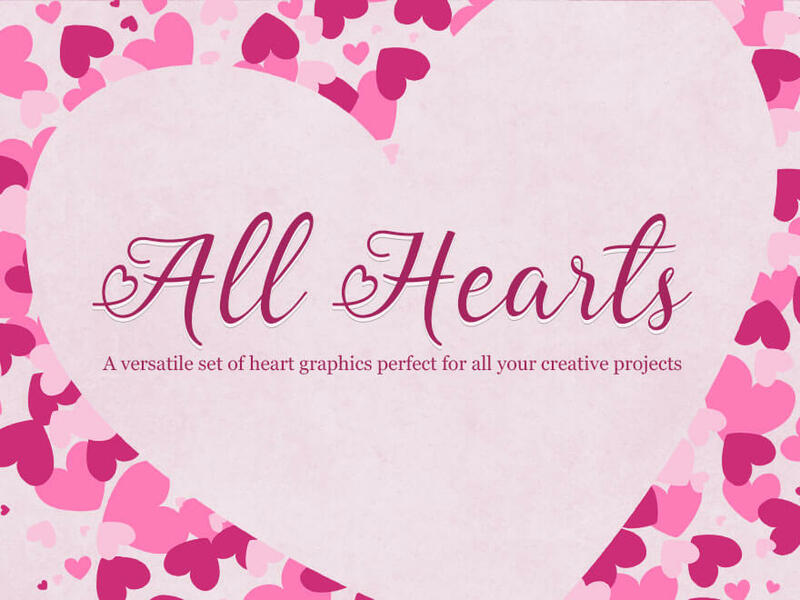 Custom Valentine’s cards, heart clipart, borders and quotes. This set has all you need for your creative projects. See the new All Hearts design set.